Few days ago, I went to Belitung with people in studio for outing and relaxation trip. The trip was very relaxing, we had our camaraderie through playing, sharing, and learning new places. The studio has been working really hard for the progress of name RAW. It was fully trip that we gave for the effort given by associates, and designers. Originally when we went out for the trip, it will be a review for the office. We had a review for the 6 years of the office as well, but I won’t tell story in this post now. It will be later, this post is about the moment that truly touched my heart. one of the momen that touched me when we went to school Muhammadiyah Gantong, there were few children entertaining people with laskar pelangi song, and suddenly we started to sing. After that I went to other classroom, looking and imagining how the learning process happened. 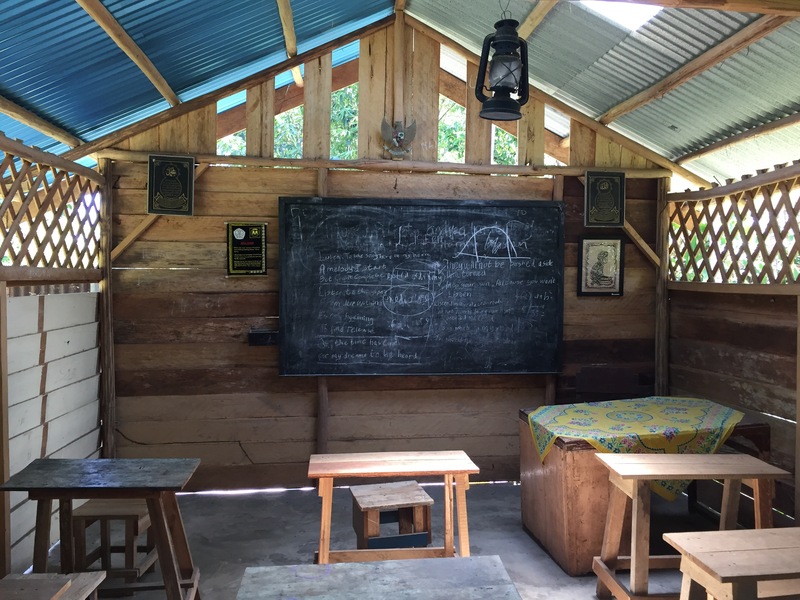 The school structure was poorly built, while I could not found the traces of the learning process which is predicted because the location was genuinely made for movie set “Laskar Pelangi” a movie. An Indonesian film adapted from the popular same titled novel by Andrea Hirata. After that, We went to Museum of Word, an initiative by Andrea Hirata located in Manggar, which quiet far from downtown Tanjung Pandan but the long road was so amazing and enjoyable. In this house, are showed how Bangka Belitung’s children dreams. looks like, Andrea wants to make this museum as the first Letter Museum in Indonesia which come from the island, who has many population lack read. The museum has so many inspiring quotes form many remarkable people in the world, I just feel that Hirata believe in dream, a dream of better educated people through words. The most inspiring part of this museum is at the back of the museum, there is small passage. The passage lead to the free school for belitung children. That is touched my heart. The fundamental of the knowledge is the education, while I feel inspired with the humbleness of the place, the simple seating, enough sunlight, simple structure with light construction made by wood and corrigated zinc.